After the first no-hitter in New York Mets history, SNY caught a special glimpse of the team in the locker room afterward. 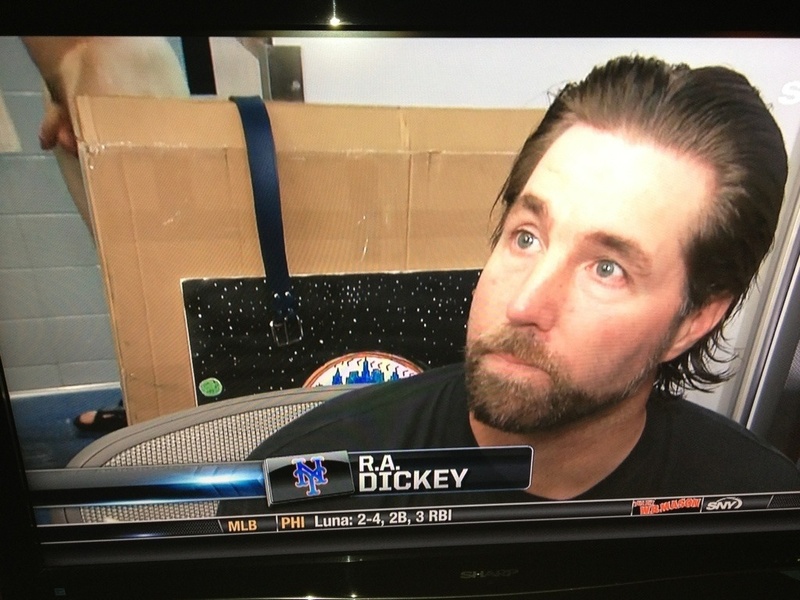 Ironically, this is during an interview with a player named R.A. Dickey. To the right: R.A. Dickey. To the left... well.